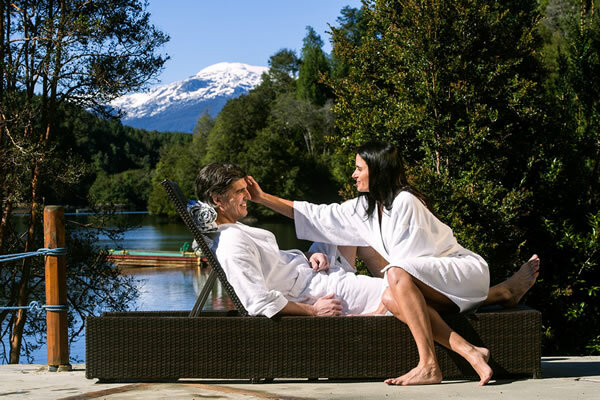 The Spa in Puyuhuapi Lodge is a privileged space with a huge window, from where there are panoramic views over the fjord and the snowy peaks of the Andes. The Puyuhuapi Spa is constructed in native wood, with skies of Oregon pine, and it`s exterior facade is covered with larch tiles. In order to achieve a more playful atmosphere that invites you to rest and relax in the SPA, we have some facilities such as jets, waterfalls and cold shower that were incorporated. 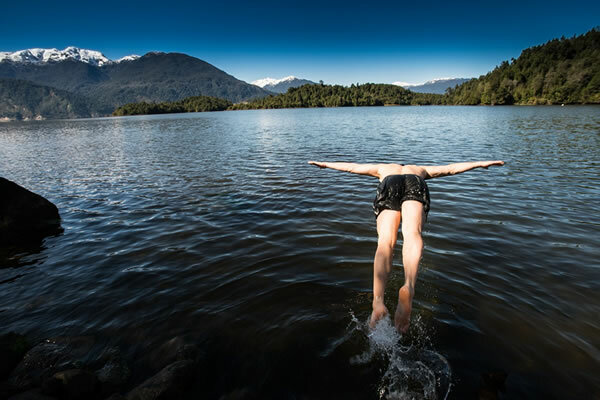 In addition, the Puyuhuapi hot springs have 3 outdoors pools, next to the fjord, which give the possibility to enjoy a comforting bath amid spectacular scenery, as well as night bath under the stars or a soft southern rain. 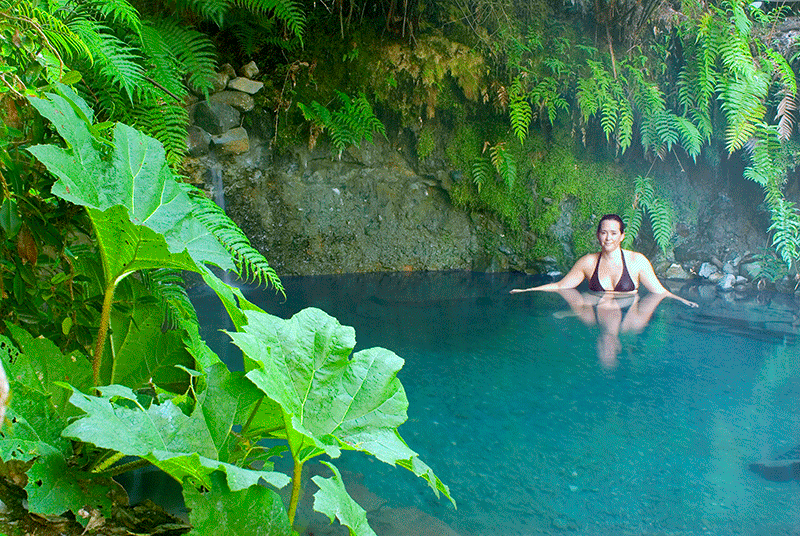 But even if you prefer to stay in the room: Hot water and heating in the rooms also comes from our thermal springs. 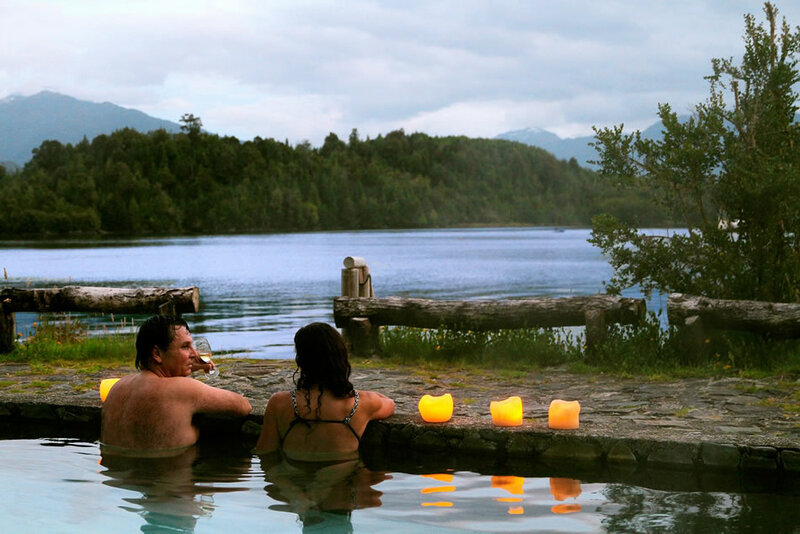 Puyuhuapi Lodge & Spa has brought to Chilean Patagonia a remote and exclusive spa experience. It is an ideal place for adventure and disconnection, being necessary to fly south to were the Andes start to disappear in the Aysén Region, and then journey through an important stretch of the Carretera Austral. 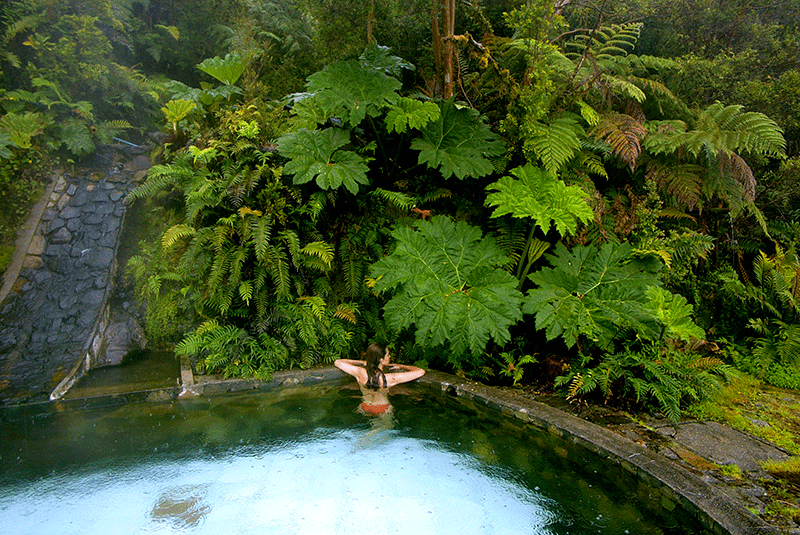 Finally you will cross a silent bay by boat until you spot Puyuhuapi Lodge & Spa with its beautiful architecture among the impressive vegetation. The stressful rhythm of life of today’s society – the agitation, the speeding up and the tension that we experience daily in big cities – makes even more valuable those places that, in close contact with nature, make it possible to find a peaceful refuge of wellbeing, space to relax, and the opportunity to connect with your inner self.